Brazil is responsible for about a third of coffee production globally, making it both the largest coffee producer and exporter by far. As of such, Brazil’s production and market behavior has a knock-on effect on international market prices, which means a drought in Brazil can lead to price increases for coffee all over the world. This has led many coffee lovers (though certainly not all) to believe that Brazil’s emphasis on quantity is responsible for producers forgetting about quality. Brazil coffee has the reputation of Quantity Over Quality. But there’s a lot more to these coffee beans than most people think. Most coffee buyers go to Brazil to source beans for espresso blends and that is perfectly fine, yet Brazil has, time and time again, produced specialty-grade coffees. What’s more, Brazil’s single origins aren’t just “adequate”, they are high-quality, distinctive coffees. Usually, Brazilian coffees possess an intense sweetness in the form of caramel and chocolate notes, big bodies, and a relatively low acidity. This low acidity is what sometimes makes people underestimate the quality of a cup of Brazilian coffee, yet take a second sip, and you’ll find that the flavour profile is surprisingly good. With fourteen major coffee-producing regions spread over seven states, Brazil’s coffee beans are a diverse mix. Have a look at the information on your coffee bags. You may find that your coffee is from Minas Gerais (Sul de Minas, Cerrado Mineiro, Chapada de Minas, Matas de Minas), São Paulo (Mogiana, Centro- Oeste), Espírito Santo (Montanhas do Espírito Santo, Conilon Capixaba), Bahia (Planalto da Bahia, Cerrado da Bahia, and Atlantico Baiano), Paraná (Norte Pionerio do Paraná), Rondonia, or even Rio de Janeiro. With so many coffee-producing areas, Brazil offers a diverse variety of traditional and experimental varieties being cultivated e.g. Bourbon, Topazio, Acaia, Mundo Novo, Icatú, Catuaí, Iapar, Catucaí, and more. Then there are the farms themselves, ranging from small family plantations of less than 10 hectares to big estates of more than 2000 hectares. With so much variety, you’re sure to find a coffee you’ll love, from Brazil. Why is this important? 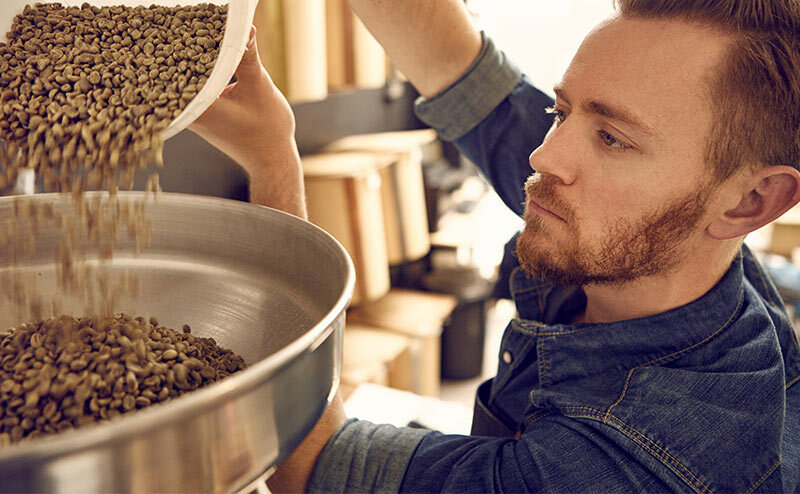 Well, natural processing is difficult to do without damaging the beans, but it can add a substantial body, sweetness, smoothness, and complexity to the coffee’s profile. Brazil’s climate, with scarce rainfall and long periods of sunshine, makes the it perfect for natural processing. When compared to most producing countries’ coffee classification systems, Brazil has a highly complex process. The coffees are ranked based on screen-sorting, color, and cupping. This then leads to them being rated, from best to worst, as strictly soft, soft, softish, hard, riada, rio, and rio zona. What does it mean for us? We have even more information at our fingertips, allowing us to determine a specific coffee’s profile and quality. Our relationships with our partners in Brazil places us in a position to bring you high-quality Brazilian, Speciality Grade Coffees, with diverse flavor profiles, backed by solid technical expertise from one of the worlds largest producers of coffee, BRAZIL. For more information on Brazilian Speciality Coffee, check out the BSCA’s (Brazilian Specialty Coffee Association) BSCA.